Swimsanity! is a multiplayer underwater shooter with action-packed Co-Op and Versus game modes, all supported by online and local play. You play as our hero Mooba, who uses a variety of unique power ups and weapons to survive in this aquatic world. Whether you're teaming up with friends to swim into Adventure mode, or clashing in competitive matches such as Last Mooba Standing, there's more than 150+ challenges to complete across 8 action-packed Game Modes in Swimsanity! All modes can be played online or locally. 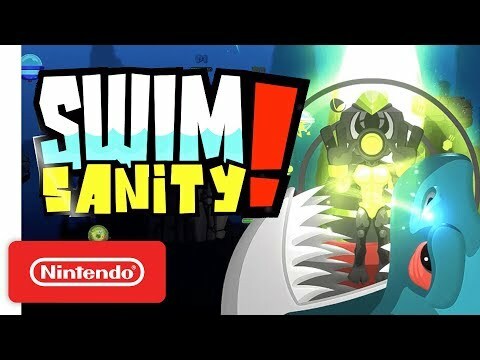 The upcoming Swimsanity! PC, PS4, Switch and Xbox One release date is Q3 2019 in the US and the UK. Notify me when Swimsanity! is available.